I spent just a couple of nights, but it was enough to understand it will be my top accommodation choice on my next visit to Glencoe. Professional and attentive staff, kitchen extremely well equipped, comfortable dorms and clean toilettes/bathrooms. Highy recommended and a tremendous value for money. Glen Coe is beautiful!! The hostel is tucked away but stunning. They had great advice for what to do in the area. Atmosphere was great. We stayed one night in this hostel. 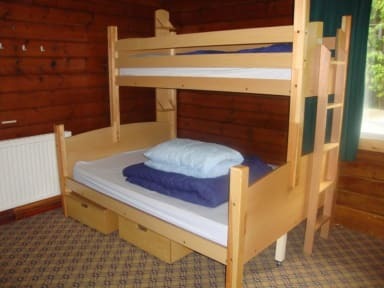 As most of hostels in Scotland, it was located deep in the woods, with an amazing scenery. The stuff was very friendly and helpful. It felt like staying in a more traditional lodge than a hostel, which made the experience even more fun. If you find yourself hiking in the area, I totally recommend this hostel. A good hostel. 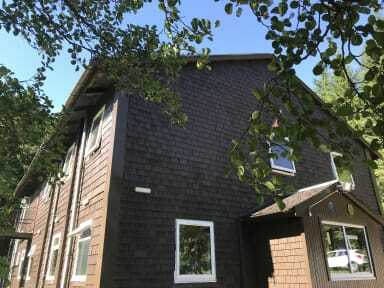 It has a more "rustic" / cabin feeling than other hostel. Most people while friendly kept to themselves. More expensive than other syha, but a fair price for Glencoe. Located 30 min walk from the town, but the plus side is you’re closer to the nice paths and walks. I did the hidden/lost valley. Took ~ 1 hour to walk there, so total hike is about 4-5 hours if you don’t hitch hike or drive. No breakfast option. You can buy a frozen dinner meal for £6.50 I believe. Decent hostel overall if you’re there for hiking. If you are male and 35+ they probably put you in dorm #6 'jurassic park' with all the other old men; it's not the only reason why this room has a foul odor of foot fungus. It's really bad they should do something about it. There is no way you can pretend to not be aware of this. Also, citylink has a 5 days free travel + free SHYA membership deal which can save you a lot of money. For example you can travel to Skye, ft William, Ullapool, etc and save membership fees, check it out before booking. Stayed in the hostel a few times before, noticed a big difference. Upon arrival there were no bottom sheets on the beds in my room. The bins including the sanitary bin was full up. The kitchen was poorly cleaned and the waste bin wasn’t emptied, some kitchen cupboards had loose handles, the ovens were filthy and appeared never to have been cleaned. I brought this to the attention at reception but it took time before it was being addressed. Was send downstairs from the bar area when having tea.